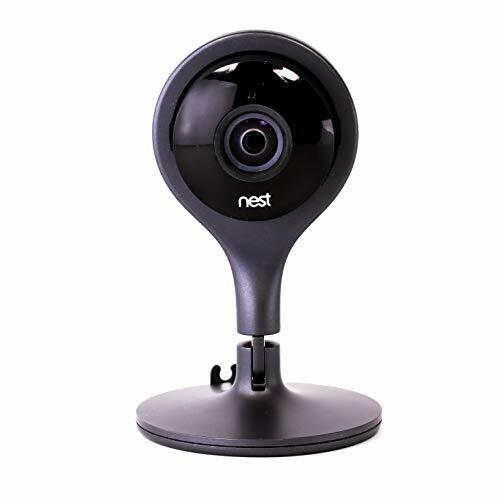 Looking for a nanny cam or stealthy outdoor security camera? We’ve rounded up some of the best hidden cameras available to help you protect your home, property, and family. Check out our picks below, or jump to our best discreet cameras section. This tiny motion sensing camera works inside and outside. And it’s so small you can put it almost anywhere without it being detected. 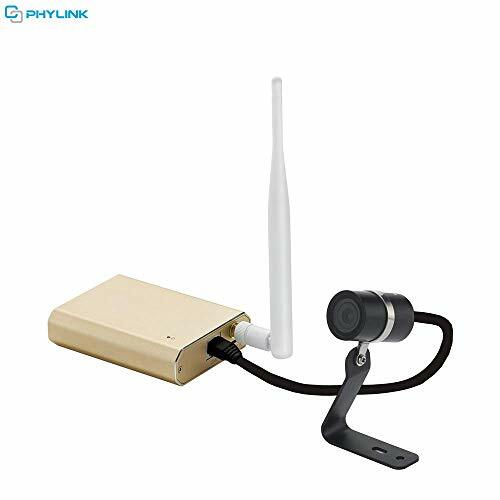 You can use it as a nanny cam to keep an eye on your family while you’re away, or you can use it for porch security to catch package thieves. It’s so small you can put it almost anywhere without it being detected. Plus, you can set recording schedules, check your feed, and receive notifications on the mobile app. We also like that it offers multiple storage options. You can use an SD card or you can have the camera record to a separate drive. An SD card is simple and requires no extra setup, but a separate drive has more storage space, so both options are useful depending on your needs. Because there are local storage options, you won’t have to pay any fees for cloud storage. Size: Camera 3.7 x 2.87 x 0.94 in., sensor unit 1.1 x 1.77 in. While we think this capable little camera is worth its price, we should mention that it doesn’t have night vision. 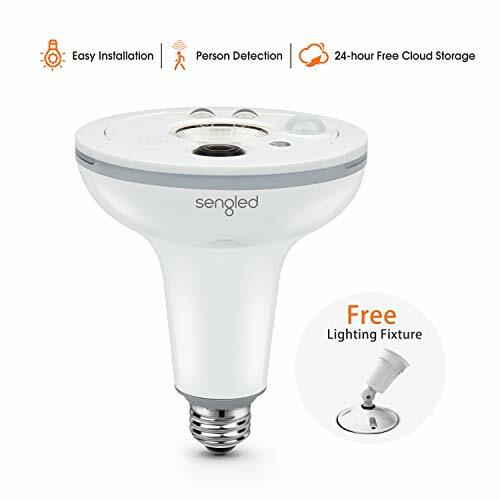 If you need a security camera that records well in the dark, we recommend the Sengled camera listed below. We like this camera because it has a wide field of view, automatic night vision, motion detection, and easy mobile access. And the fact that it doubles as an outdoor security light is a nice bonus. The Sengled floodlight camera doesn’t offer any local storage, but you can get 24 hours of free cloud storage. If you want more storage, you’ll have to pay a monthly fee. You’ll also get access to upgraded features like custom motion zones and human detection. Size: 4.8 X 5.7 in. Looking for a hidden spy camera that can travel with you? 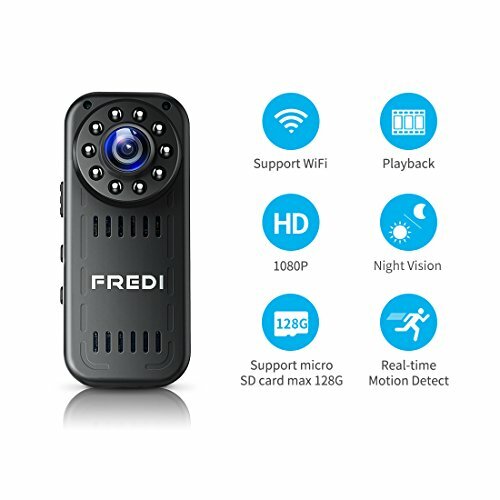 The Fredi L16 is tiny (about the size of a domino), but it still comes with motion detection and night vision. However, since it’s portable, you’ll be relying on battery power when you take it away from home. And that means your recording time will be limited. Users report the battery lasting for about 75 minutes of video recording. While hidden cameras and spy cameras have their uses, they’re rarely as capable as normal security cameras. 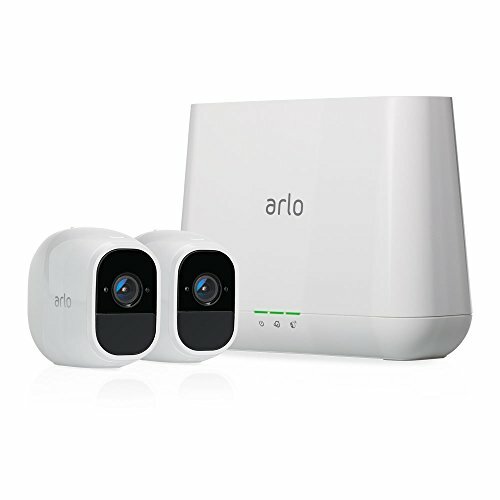 If you want a higher-quality camera with better resolution, nicer mobile app control, a wider field of view, or integration with smart home products, there are still unobtrusive, sleek security cameras that can go unnoticed in your home without being completely hidden. If you’re open to the idea of a discreet but visible camera, these are our recommendations. This wireless security camera works with Alexa, offers seven days of free cloud storage, two-way audio, custom motion zones, and night vision. It also has a siren to deter any unwanted visitors. The Nest Cam works with Alexa as well as other Nest products. It’s can be set up almost anywhere in your home without being particularly noticeable. You can use it to keep kids and pets safer by placing it in a dangerous, off-limits area of your home like the storage room or garage. While hidden cameras can be useful for keeping an eye on your home and loved ones, there are legal issues to consider. It is illegal to record in a space where a person has a reasonable expectation of privacy, such as a bathroom or bedroom. In all 50 states you’re allowed to install video surveillance equipment in your own home, whether those being recorded are aware of it or not. It is illegal, however, to record in a space where a person has a reasonable expectation of privacy, such as a bathroom or bedroom. Several states (California, Connecticut, Florida, Hawaii, Illinois, Maryland, Massachusetts, Montana, New Hampshire, Pennsylvania, and Washington) have some version of what are called “two-party consent” laws that make it illegal to record a conversation without the permission of everyone involved. Which means you should be careful about recording audio along with your video footage—it could invalidate your video evidence in court or lead to charges being made against you.